In our May, 2016 newsletter we introduced the problem in detoxification if you have a MTHFR genetic mutation. Prior to reading this month’s newsletter, you might consider reviewing the information. 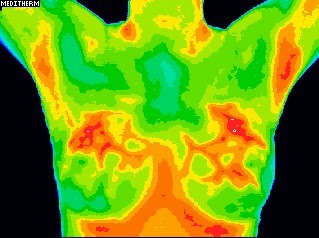 Thermal imaging is a means to monitor for inflammation. Inflammation is the precursor to a host of chronic diseases. Thus, if you can limit inflammation, you can either help yourself avoid a disease, or limit the effects of an existing diagnosis. For example, if you are a type 1 diabetic, managing blood sugar control is MUCH easier when the chaos of inflammation is reduced. “Inflammation” is just another term for “whole-body chaos” that causes a disruption in your body’s ability to achieve homeostasis. The MTHFR pathway is one way you detoxify and then support your glutathione (antioxidant) system. But to optimize your glutathione production, you need to know about homocysteine. 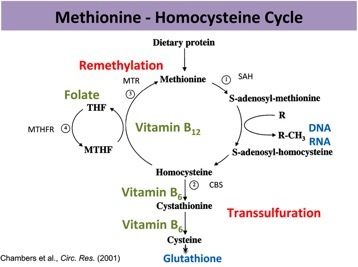 Homocysteine can be rendered harmless when cofactors, vitamins, and enzymatic reactions are present to quickly convert it back to methionine or cysteine, both of which are harmless and necessary amino acids. Methionine and cysteine are precursors to glutathione, your innate antioxidant system. So, if there is a lack of cofactors that converts homocysteine into harmless amino acids, it accumulates in your body and leads to disease. A reduction in the activity of the MTHFR gene plays a role in producing necessary cofactors for optimal conversion. Without addressing this defect properly, detoxification is impaired and health is compromised. Other contributing factors to high homocysteine include poor diet, poor lifestyle (smoking, high coffee and alcohol intake), some prescription drugs, diabetes, rheumatoid arthritis, and poor thyroid function. High homocysteine levels can be normalized through diet and vitamin supplementation (vitamin B12, B6, B2, zinc, and others). An established client came in for her full body scan and had been diagnosed with the MTHFR A1298C mutation and started on the supplements specific to her condition. She was concerned that she would have lots of inflammation due to this new diagnosis. Realize, thermography cannot diagnose any condition, but often improvement in the ability to detoxify the body can be seen in comparative scans with reduction in inflammation. We spend lots of money and time working to optimize health. With thermal imaging, we watch for changes over time as an early indication of changes in health. Both of us have noticed an increase in the number of our clients, both established and new, that come into our clinics with a diagnosis of MTHFR mutation. Many of these clients are finally finding answers to their struggles and we encourage all of our clients to explore this avenue for themselves. The methylation cycle is complex and this newsletter is not meant to give a complete understanding of its importance. 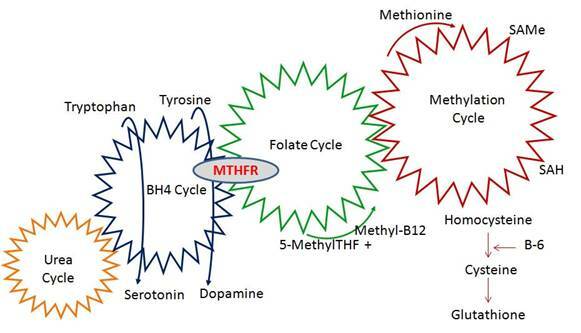 MTHFR mutations effect your detoxification system as well as neurotransmitter production. Please speak with your healthcare provider about any questions or concerns you may have regarding your risks.